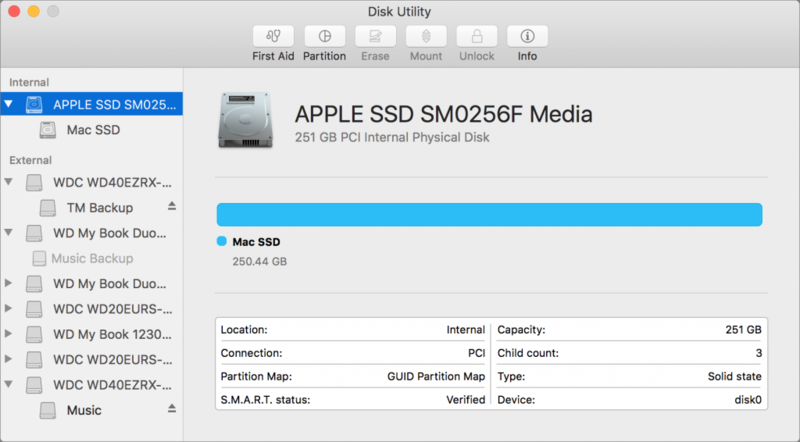 If you need to format, partition, or otherwise work with hard drives on a Mac, Apple's Disk Utility is the tool you use. Found in the Utilities folder, inside your Applications folder, Disk Utility is a powerful tool that offers a full range of features to manage disks and volumes, encrypt and decrypt them, work with disk images, and much more. Before we get into the nitty-gritty of using Disk Utility, let's look at some terminology. It's important to understand some of these terms, so you can be aware of how OS X's Disk Utility works. I've simplified these explanations for the purpose of this article. Drive: A drive is a physical device that can store data: a hard drive, an SSD, a USB flash drive, an SD card, or other types of media. A drive is not, however, a CD, a Zip cartridge (remember those), or a floppy disk. Volume: A volume is a logical storage device. Since a drive can have more than one volume, this term represents a part of a drive that appears, to the user, as a single unit. A volume also contains a file system, which allows a computer to keep track of where files are stored. A drive may have a single volume, or it may contain several. Partition: When you partition a drive, it contains multiple volumes. In many usages, volumes and partitions are the same, but not always. A drive can contain a single partition, or several. Formatting: Formatting prepares a drive or volume to receive data by an operating system or device by adding a file system to it. File System: This is essentially a catalog that lets a computer keep track of where data is written on drives, so it can read and write files. When you open Disk Utility, you'll see all the drives connected to your Mac. If you click on one of them, you'll see some basic information about it. 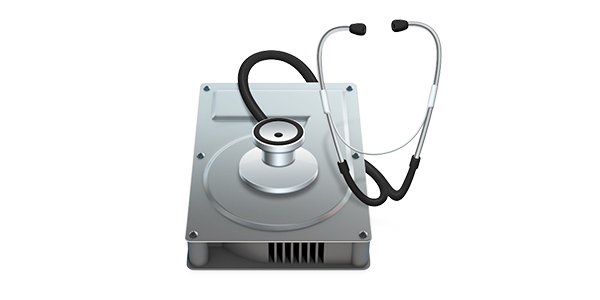 Disk Utility can tell you the type of device, where it's located, which file system it uses, its capacity, and more. Notice in the above screenshot that I have clicked on the startup volume of my Mac — the one at the top of the sidebar is always the startup volume. Also, I've clicked on the top line of the disk's entry; here you can see a disclosure triangle, and, if you click on the entry below that, you can see the volume, in this case, named Mac SSD. The information you see about the volume is different. 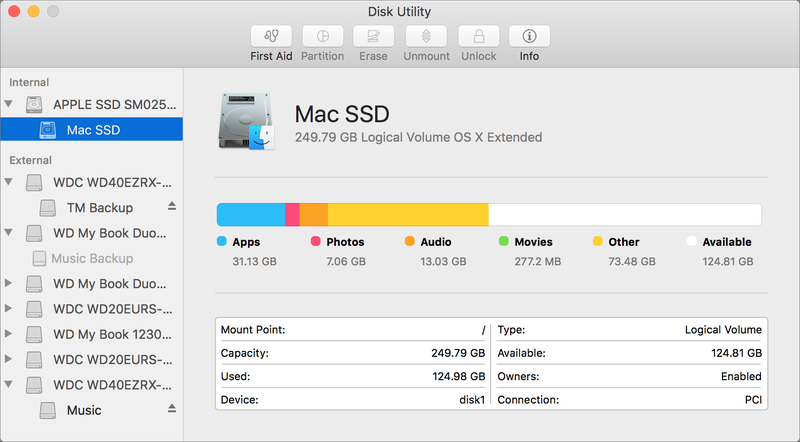 Disk Utility shows information about the volume's capacity, how much space is used and how much is available, and even gives you a breakdown of the types of files (Apps, Photos, Audio, Movies, and Other). You can use Disk Utility to check any of your drives or volumes. 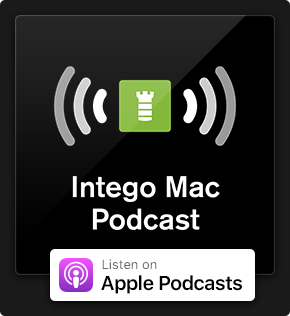 When you connect a new drive to your Mac, you may need to format it. Most pre-formatted drives are set up for Windows PCs. (Though some companies sell Mac-formatted drives, and charge extra for the "feature.") 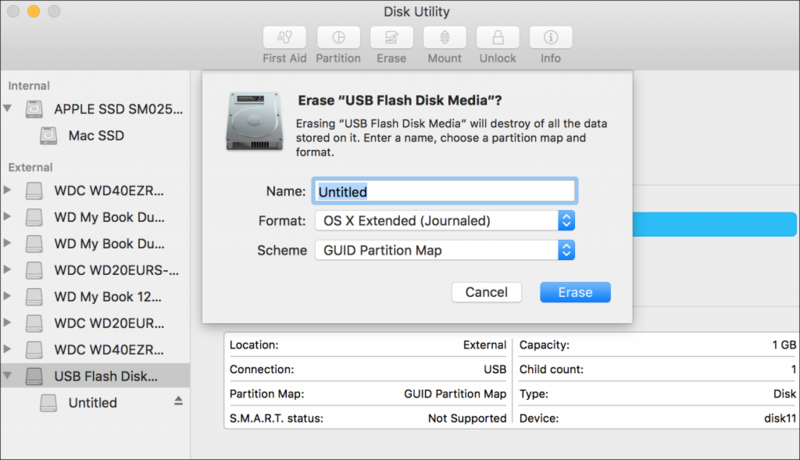 Formatting a drive in Disk Utility is easy, though Disk Utility uses a different term: Erase. Connect the drive, select it in Disk Utility, and click the Erase button in the toolbar. This is how you prepare to erase and format a USB flash drive. Choose OS X Extended (Journaled) for the Format, and, for the Scheme, choose GUID Partition Map. You could also choose MS-DOS as the format, if you want to be able to use the drive on both a Mac and a PC; this is helpful for flash drives, or portable USB drives. In that case, choose Master Boot Record for the Scheme. Click Erase, and Disk Utility will erase and format the drive. You may want to divide a drive into more than one partition. When you do this, each partition is a volume, and each volume shows up as a separate drive on your Mac. 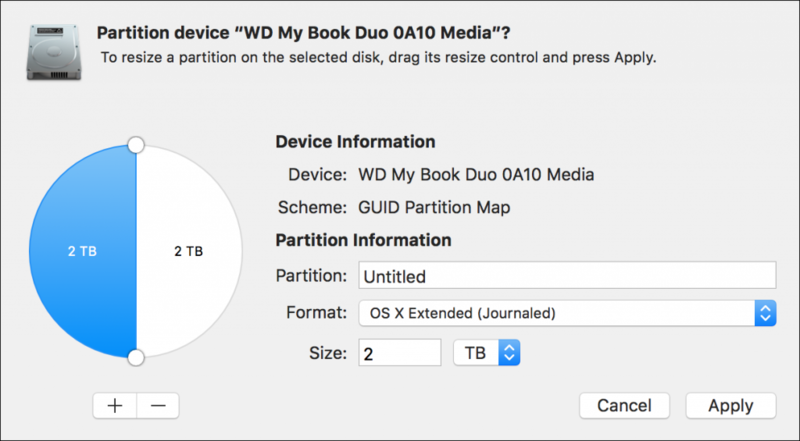 You may want to do this to have two versions of OS X; for example, one in the first partition, another in a second partition. Or you may want to do it to sequester data: media files on one partition, other files on the second partition. This allows you to backup your data more flexibly. To partition a drive, select it in Disk Utility, and then click Partition in the toolbar. Disk Utility shows the drive's space as a pie chart. By default, drives only contain a single partition, but to add one, click the + icon; you'll see two partitions. If you want to adjust their sizes, you can do so by dragging the circles dividing the partitions, or by typing a size into the Size field. When you click Apply, Disk Utility erases the drive (did you back it up first?) and splits it into the number of partitions you have selected. 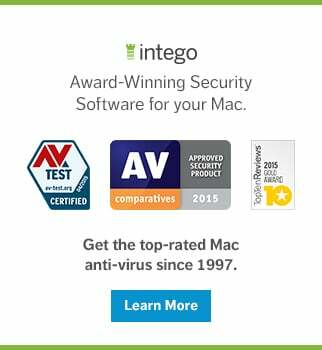 OS X has a feature called FileVault, which is a form of full-disk encryption. You can turn it on from the Security pane of System Preferences, but only for your startup volume. With Disk Utility, you can create an encrypted volume on any drive. To do this, you need to erase your volume, as I explained earlier in this article. In the Format section of the dialog, select OS X Extended (Journaled, Encrypted). You'll be prompted for a password before Disk Utility erases the drive; make sure to remember it, because you won't be able to access the drive without it. This entry was posted in Apple, How To and tagged Disk Utility, OS X. Bookmark the permalink. FileVault is quite a nice feature to get the security in Mac. It helps in preventing unauthorized access to documents and other data.